Inside is good. It means exploring. It means going further and deeper. It’s a great theme for photography. This shot i took early this year in Buenos Aires. There is a famous street fair in “El caminito”. It means the short way. 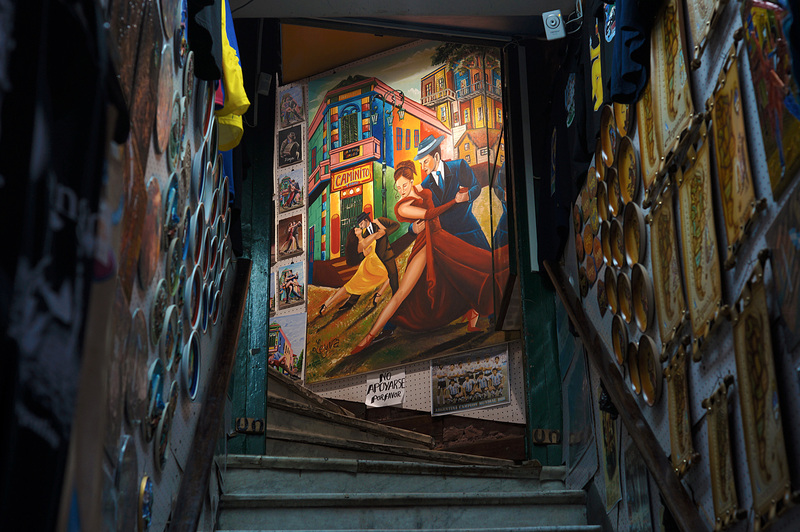 It’s all about Argentina’s art traditions and mostly Tango. From the street i would see houses like this one i shot. Stairways leading somewhere…sometimes a store sometimes a restaurant i don’t know. I didn’t check all. But they were always inviting me to explore with their doors open and their insides exposed.